While the blistering cold is still here, might as well enjoy it and have some fun in the snow. 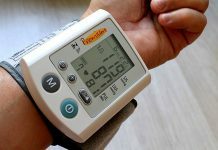 Skiing and snowboarding are fun activities but you need to ensure proper maintenance of your equipment to keep them running fast and extend their lives. 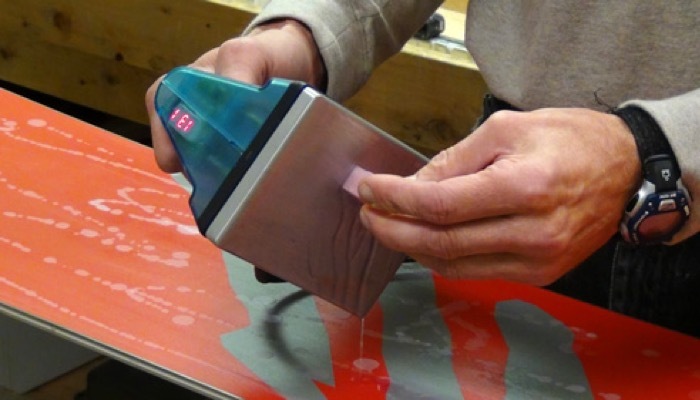 Waxing is just one of the things you need to do regularly to keep your snowboard good as new. 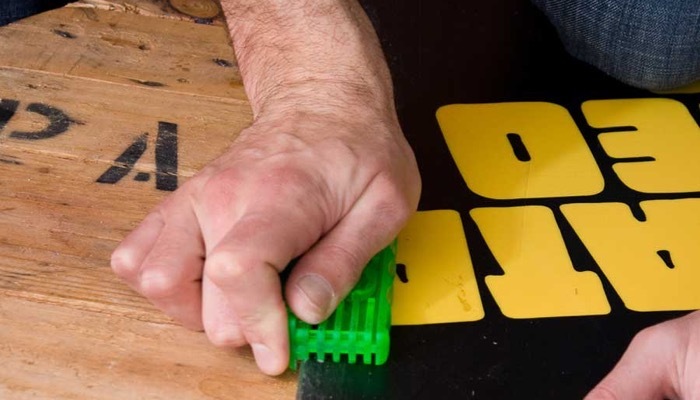 This is a pretty common concept on other sporting equipment and you need to wax a snowboard just like the way you need to regularly wax a surfboard. Of course, when you’re out there skiing and snowboarding, you need to be properly clothed as well. Wear the appropriate winter gloves to protect your hands. It would also be fun to film yourself as you ride with a cool action camera. 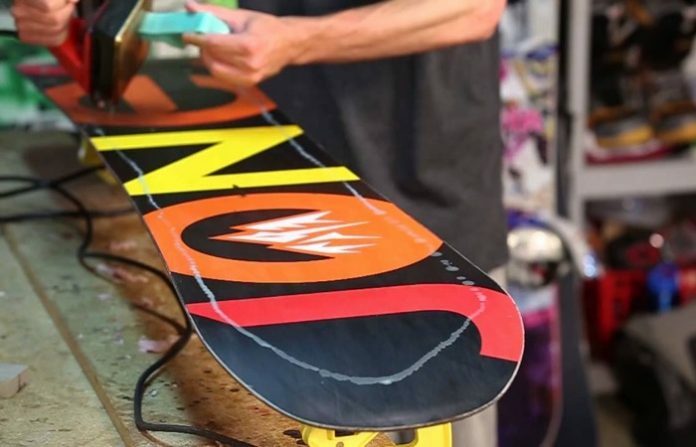 It’s actually pretty simple to wax a snowboard. You would need a few tools and just learn some techniques on how to wax it. Why Do You Need to Wax Your Snowboard? Aside from extending your snowboard’s life, there are various practical reasons on how you should wax your snowboard. 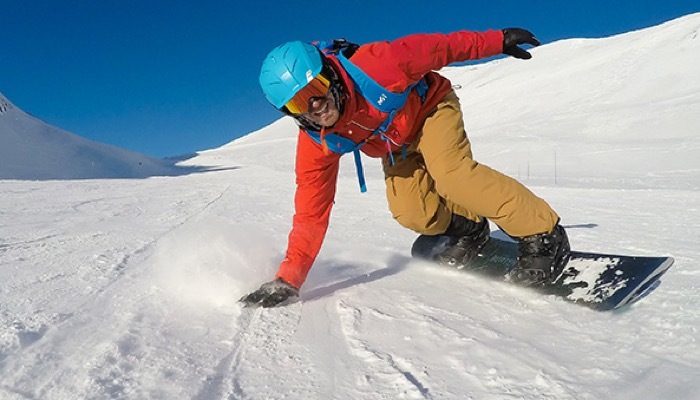 Whether you are serious about this activity and planning to join some professional competition or you just want to have fun with your friends, a properly maintained snowboard will get you ahead of the game. You can even break your buddies’ speed records. When you buy a new snowboard, it is already waxed so you don’t really need to wax a snowboard right after buying a new one. However, a new unit comes with a factory wax which is either a rub on or spray wax, instead of a hot wax. 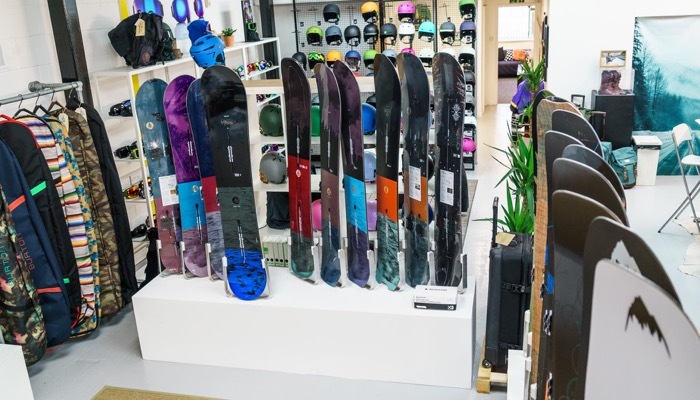 Whether you need to wax a snowboard or not when it’s new would depend on the state of the wax and the board, and also how you would like your board to perform. You should also consider how many days it would take for your first trip with your new snowboard. There are times when you would need to wax a snowboard when it’s new if it has been sitting in the store for a long time. This is because the wax may have already dried out. To tell if the board has dried out, you should check the base and see if there are cloudy white patches. Those are signs of drying and you should give it a good waxing. Basically, you need to wax a snowboard to keep it running fast and keep it looking new. Some types of snowboards like those with sintered bases would need waxing more often than others. Before you wax a surfboard, you need to make sure that it’s clean so that the wax is applied smoothly. First, you need to clean your snowboard. Actually, your priority is cleaning the base. Get all the grime off so that the wax will stick without a problem. You can simply use a base cleaner and rub it with a rag but it would be more effective if you use a hot iron. To clean the base with a hot iron, run the hot iron over the base then apply a thin layer of wax. Immediately scrap it to remove the dirt. This is called the hot scrape technique. It cleans your base by opening its pores and then it allows the muck that could be hiding inside to be pulled out. You would also need to loosen the bolts on your snowboard because the bolts conduct heat. When you iron over the snowboard, they heat up and create small bubbles on your base. Then it would be difficult to wax. Do not remove all the bolts all the way. You just have to loosen them a little. Now, you’re ready to wax a snowboard. First, you need to choose the type of wax that you would use. 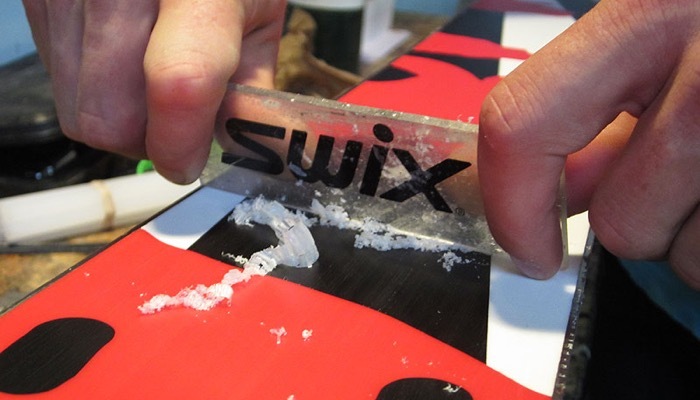 You need a wax that would best suit the conditions on where you would be using your snowboard. Consider the temperature. There is a type of wax that is suitable for all temperatures called an all-temp wax. Some types of wax are more suitable for warm climates and others are specifically made for cold temperatures. The edge of your snowboard gets the most pressure so it’s more appropriate to use a harder wax along the edges. Plug in your iron. Ideally, you should use a special type of waxing iron but you can always use an old regular iron that you have as long as you won’t be using it on normal shirts after. Start in a low setting then gently press one corner of the wax to your iron. It will melt after a while. When it starts to melt and run down the iron, let it drip onto the board and move the iron smoothly around the edge. You should keep it steady and leave a trail of regular wax spots. Then fill in the middle of the board. Move from side to side in a zigzag pattern. Once the wax is applied, press the iron gently to the base so that the spots beneath get the wax to melt again before you spread them over. Spread the wax with the iron around in a circular motion. Continue doing this to the whole board. 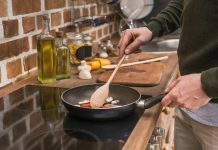 Make sure to keep the iron moving to avoid any part of the base getting burned or too hot. 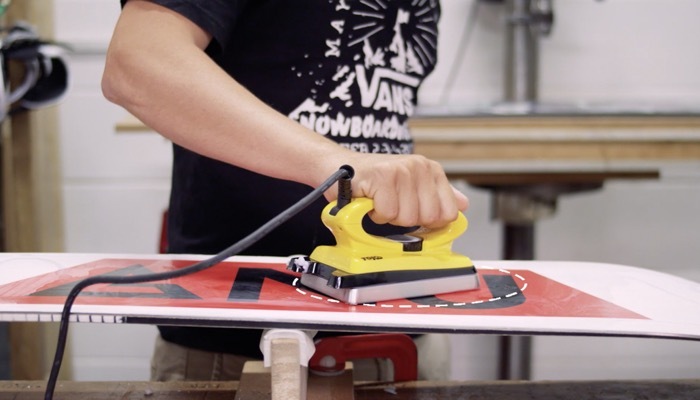 This is the crucial step to wax a snowboard. Once the whole base of your snowboard is covered, turn the iron off and allow your board to cool. Wait at least 10 minutes. Now the wax will be reset thoroughly. Using the scraper, begin scraping off the excess wax at a 45-degree angle. You need to keep the sharp edge in contact with the board. Move it in one direction working from the nose to the tail. Finally, after you wax a snowboard, wipe off any remaining crumbs with the cloth.